I am a certified DISC D3 advisor, trainer, business coach and HR specialist with a belief in continuous personal and professional development. open for further developments team, in particular with regard to suggestions and variations to enrich the projects. I specialize in providing the customized methods and tools for self-fulfillment, relationships, an organisational culture, management and leadership. Using my wide HR experience I investigate my clients’ recruitment needs with the aim of being able to find the right employee for the position on the basis of candidates profesional experience and references along with my precise research on personal preferences, communication tendencies and recognized values. 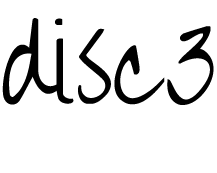 More datails on DISC D3 research is available below. I encourage you to contact me if you have any questions or concerns.